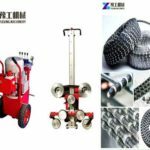 Concrete wall saw is mainly used for the cutting of reinforced concrete wall, brick wall and other stone materials, as well as the renovation and reinforcement of old buildings. It can also cut large-area walls, such as, door holes, windows or elevator holes. The wall that cut with it can be formed at one time, which can avoid the damage or the building structure caused by the traditional knocking construction. At the same time, the machine can help save the time, material resources, labor and costs. 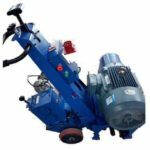 Concrete wall saw can also be called wall cutting saw, concrete wall saw, wall cutting saw machine, which usually contains two types, hydraulic concrete wall and electric concrete wall saw according to the power. You can check the specifications of all the models below and choose the suitable concrete wall saw for sale in our company. 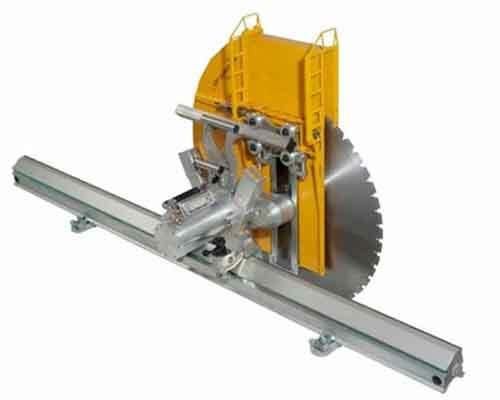 Hydraulic concrete wall saw is composed of power station and saw head. It was originally designed for cutting concrete wall and used for building engineering transformation. 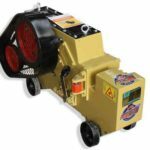 This type of machine is very simple to operate, only a power source can help it complete the cutting work. In addition, linear cutting can make the construction section more neat. 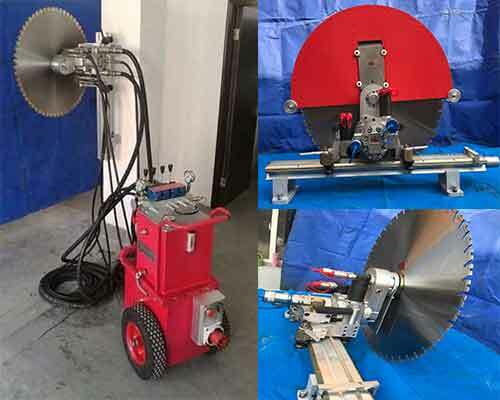 It is arguably a very popular type of wall saw machine for the cutting of reinforced concrete, rock, ceramic, brick wall and some other hard materials. The electric concrete wall saw for sale in Yugong Machinery uses heavy double insulation high power motor and reducer, which has the characteristics of low failure rate, long service life and can save the maintenance cost at the same time. Special mechanical clutch protection device can effectively prevent the machine and personnel from damaged due to improper operation. Manual or automatic cutting control device can not only improve the construction quality and speed up the construction, but also can reduce the labor intensity of the operator greatly. 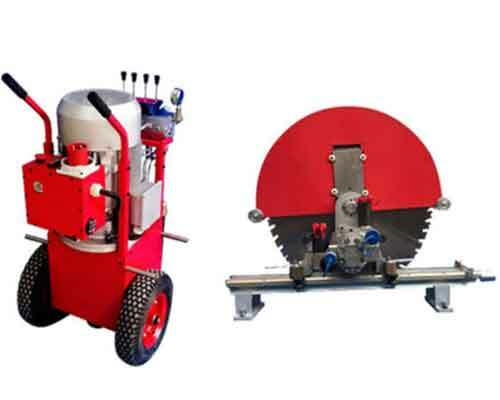 The machine can be divided into three models according to the diameter of saw blade. Meanwhile, the three models are different in the depth of cut. Please kindly choose the right one depending on your needs. 1.High work efficiency. The machine can increase the working speed and shorten the construction time. 2.Low labor cost, large competitive advantage and suitable for large-scale cutting engineering. 3.Low loss cost. 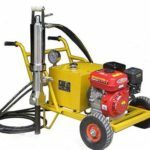 The safety, reliability and stability of hydraulic system itself greatly reduce the loss cost of construction equipment. 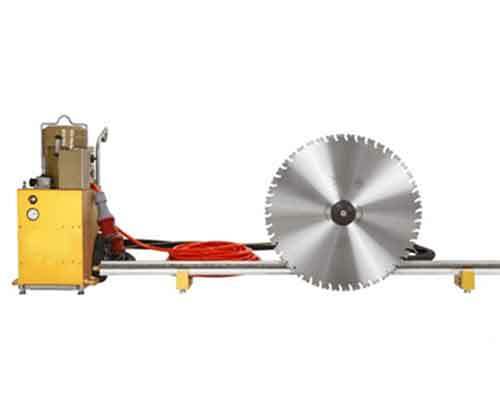 4.The static cutting technology used in hydraulic wall saw machine has become a construction and design concept. 5.With overload protection which can ensure the safety. 6.More powerful that can improve the cutting period and labor productivity.